The emerging trend of organic and natural wines has taken the world and Napa Valley by storm, capturing the hearts and palates of wine lovers alike. But what exactly is organic wine? Find out with our guide to organic wines. 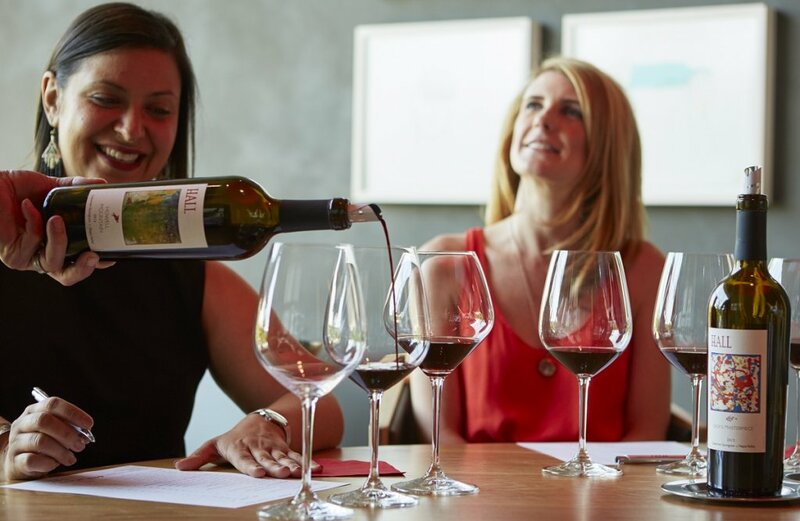 Winemakers in America have slowly been transitioning to organic wines and sustainable winemaking practices, which largely has to do with people wanting to lead more ethically, environmentally, and health-conscious lifestyles. At first guess, you may think that all it takes for wine to be labeled “organic”, is organically grown grapes, but this is only part of the equation. Although organically grown grapes are required, the absence of sulfites in organic wine is the true differentiator. Sulfites are a preservative that winemakers include to prevent their wine from oxidizing and preserve flavor. This keeps their product as fresh as possible, for as long as possible. In organic wine, winemakers are not allowed to include any additional sulfites or they will not be considered certified-organic. Today, most winemakers steer clear of getting a USDA certified-organic seal. This is directly linked to not being allowed to include sulfites in the final product. It’s believed that without the sulfites, the flavor and shelf life will suffer too much, and overall the quality of the wine will drop. Unlike America, in Europe and Canada organic wine can still be produced with sulfites, and receive a certified-organic seal. That doesn’t mean that winemakers don’t do their best to try and operate organically; in fact, majority try to make their wine with organically grown grapes, including a number located here in the Napa Valley. Although each winery operates differently, almost all can agree on the importance of preserving the soil and vines in their vineyards, as well as the surrounding environment. Chemical-free means richer soil, healthier vines, and fresh, mouthwatering grapes. 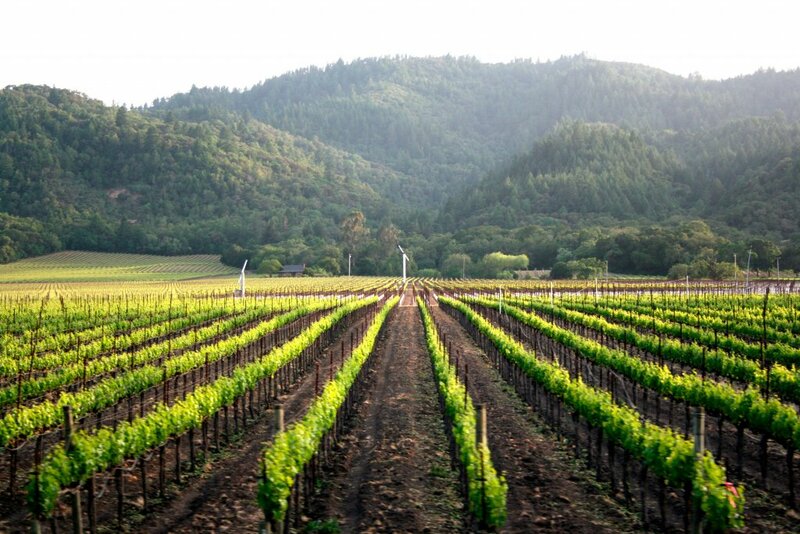 If you’re unfamiliar with organic wine, Napa Valley is the perfect place to give it a taste! A number of our partner wineries have sustainable winemaking practices and produce beautiful organic wines. Visit Hall Wines’ St. Helena location—the first LEED Gold Certified winery in California—on our Estate Tour, or hop aboard the Grgich Hills Winery Tour to learn about all its organic practices and sustainable initiatives. Tour Raymond Vineyards’ Theatre of Nature and learn about their organic and biodynamic farming techniques on our half-day Raymond Winery Tour, see how California’s oldest winery is also one of its most innovative with a tour of Charles Krug on the Ambassador Winery Tour, or hop on The Legacy Tour to see how V. Sattui uses organic practices to make award-winning small-batch wines. 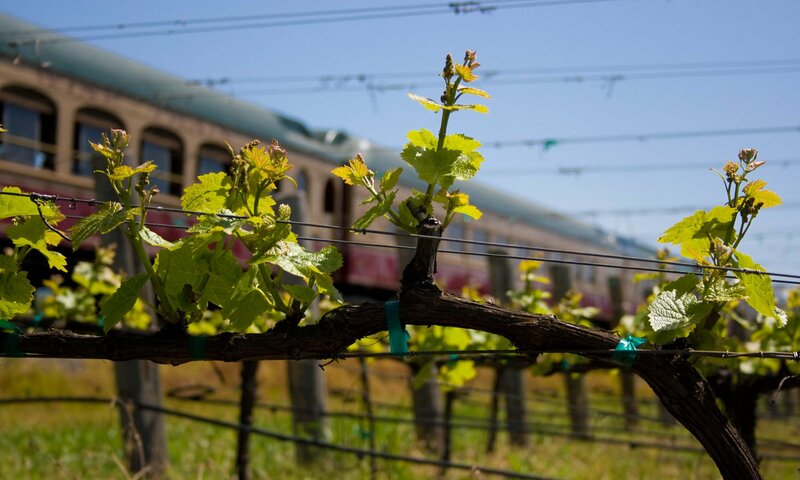 After all, the only way to know if organic wine is for you is to try it for yourself and we can’t think of a better way to do so than aboard the Napa Valley Wine Train!